Aham Bhumika is an NGO based in Bhopal registered under Societies Act as well as under Section 80 (G) of Income Tax Act. The NGO comprises of few likeminded people who are engaged in social welfare activities through Aham Bhumika and otherwise work separately to support their own families.The NGO works in two villages namely Borda and Mahabadia adjacent to each other located at outskirts of Bhopal. Besides basic education of rural children the NGO has a livelihood initiative wherein it has trained more than 40 rural women and girls in hand embroidery work in past three years. The core aim of this initiative is to enable rural women to earn a livelihood. 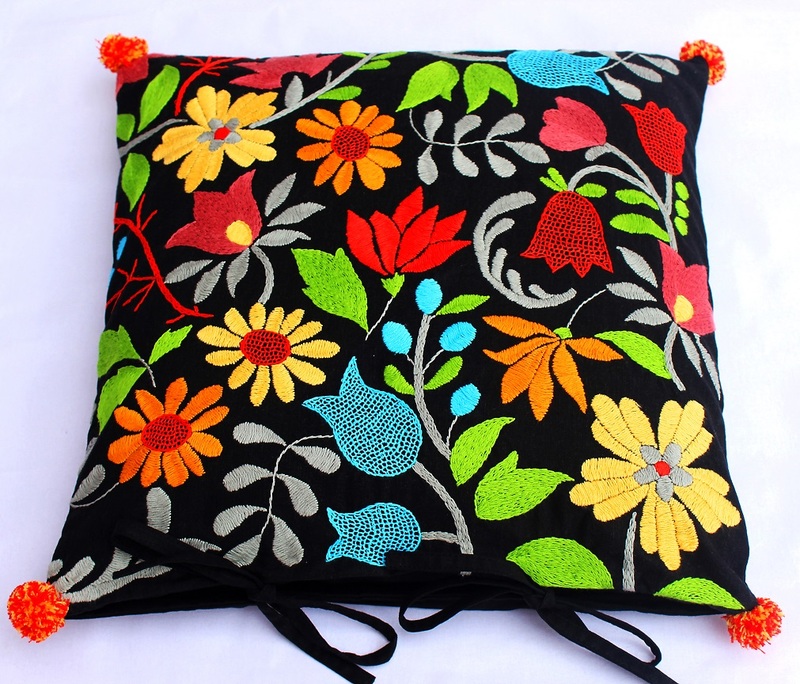 The embroidered panels are made into cushion covers, tote bags and zipper pouches in the stitching unit comprising of another small group of rural women. Currently these products are sold mainly through Facebook, Twitter and word of mouth marketing. Aham Bhumika is constantly looking out for new opportunities to provide work for the embroidering hands and trying to make them self-sustained. This summer Ahambhumika intends to raise fund to the tune of INR 2 lacs. The fund raised will be used to provide hands on training in hand embroidery to the rural women and to purchase threads , fabric and payment of wagws to the participants besides developing new designs for hand embroidery . To support this programme one can contribute any amount as per own conveneience.All contribtions are tax exepemted under Section 80 - G. Further every donor will get beautiful hand embroidered products made by our rural women as a small token of love from our team. Below is bank detail to contribute. Once you contribute kindly mail us the amount contributed by you with your name , complete address, pin code and a mobile number so that donation receipt can be issued and shipping of products can be made. The products will be gifted on or before July 2018. 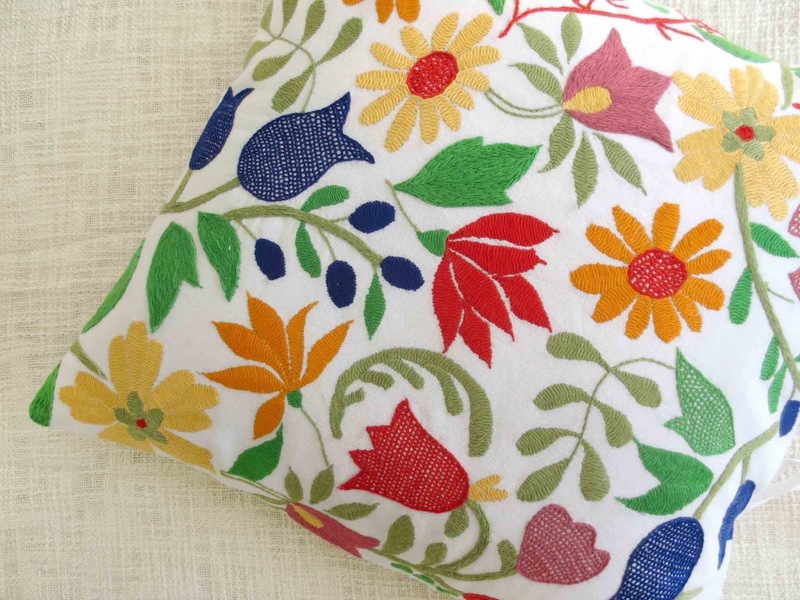 The size of every cushion cover is 16 x 16 inches . Fabric cotton . Colour tested . One may hand wash or dry clean . You need to send name of the product or product code mentioned below the name of each product to order . Price of each cushion cover is Rs.750 . The mode of payment is NEFT.We ship all over India .Once we receive your order will send you our bank details for payment alongwith the confirmation of order . Dear Friends, we are raising fund for the coaching fee of an budding artist. This budding artist is from a village on outskirts of Bhopal. This year he is appearing in the examination of class XI and he desires to get admission in a reputed institution of Art and Craft next year . For this he requires coaching in a good institute. He is practicing art and craft from past three years and is very good in painting. His parents can not afford coaching fee which is around Rs. 60,000 for one year. He is associated with Ahambhumika since last three years and working hard to enroll himelf in a good institution of art and craft. Posted below is the image of the budding artist whose name is Himanshu with his recent art work .We are looking for the people who can support this talented young guy to fulfil his dream. Any contribution made by you is most welcome. We shall be further obliged if you could support us in spreading words among the like minded people you know. All contribtions are Tax exempted under Section 80 - G .
Below is the bank detail to contribute . Dear friends this post is about our artisans and about us . Here is a brief . The NGO works in two villages namely Borda and Mahabadia adjacent to each other located at outskirts of Bhopal. Besides basic art and craft education of rural children the NGO has a livelihood initiative wherein it has trained more than 40 rural women and girls in hand embroidery work in past three years. The core aim of this initiative is to enable rural women to earn a livelihood. 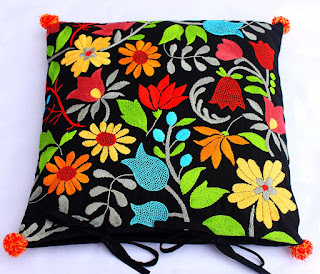 The embroidered panels are made into cushion covers, tote bags and zipper pouches in the stitching unit comprising of another small group of rural women. Currently these products are sold mainly through Facebook, Twitter and word of mouth marketing. Aham Bhumika is constantly looking out for new opportunities to provide work for the embroidering hands and trying to make them self-sustained. Each cushion cover is 16 x 16 inches in size . Fabric cotton. Can be hand washed or dry cleaned. Each Rs.750. The mode of payment is NEFT.We ship all over India .Once we receive your order will send you our bank details for payment alongwith the confirmation of order .We ship all over India. Aham Bhumika is a NGO based in Bhopal, India. We work mainly with the destitute, orphans and widows from the nearby rural area and provide them with food and clothes we collect from donors. We have successfully carried out various campaigns to the day like the bicycle donation campaign, Vastrasamman campaign to name only a few. Our NGO is run by individuals who have full time jobs to support their family but also harbour passion for giving back to the society. Currently we’re looking for sponsorships and donations in cash or kind to further expand our scope of work. You can reach us at ahambhumika@gmail.com or @ahambhumika or call Subrat on +91 98264 72718. We look forward to getting in touch with you! Copyright (c) 2009 Aham Bhumika, Blog maintained by TopRankSEO Blog. All rights reserved. Design by Free CSS Templates Blogger Template Created by TeknoMobi.